you'll see why so many folks make it a Saturday morning tradition !!! The South Side Farmers Market is operated by the Allen County Ag. Producers, Inc. (a non-profit corporation). The goal is to provide high-quality, locally-grown fruits and vegetables to the people of Fort Wayne and surrounding areas. There is a rich history at the market, and in 2001 it received a local historic designation. There are 100 stands in the "h" shaped building, with some being operated by families that have sold at the market for generations. It is a place that allows you to form a personal relationship with the people who produce your food. They are happy to share selection methods, storage tips and favorite recipes for the items they sell. This vital connection strengthens the community by preserving a food industry based on family-owned farms and small scale businesses. Come and visit the market, and you may get the feeling of stepping back in time. 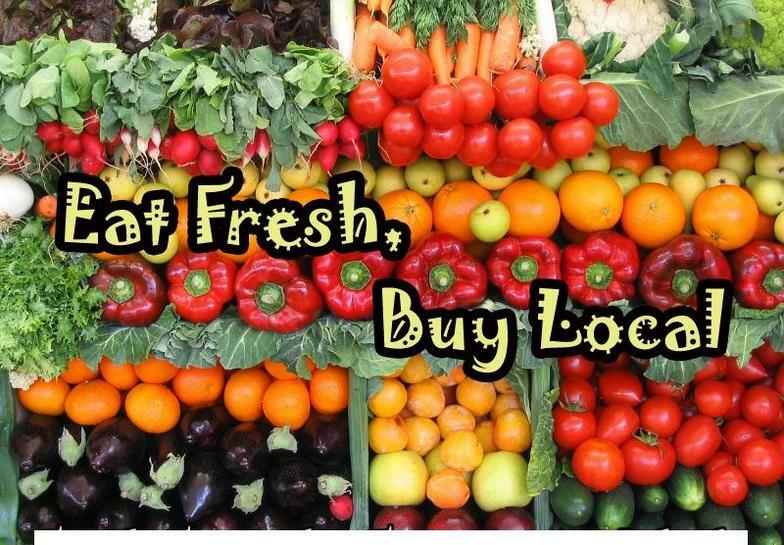 Not only is there a wide variety of whatever produce is in season, there are many other hand-crafted items, antiques, fresh baked goods, eggs, local honey and hormone-free pork & chicken. There are also master gardeners on site that are available to answer the questions people may have about growing their own gardens. Occasionally, there may be open stands available for rent. If interested, see the market master, Bud Giant, for details on any Saturday.